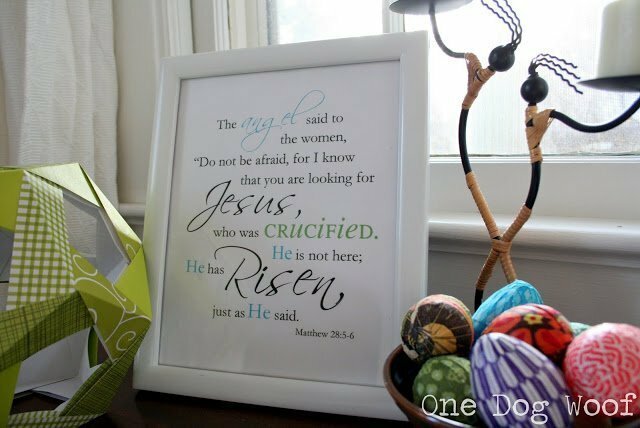 Here’s another little tidbit that will eventually become part of my Easter mantle, and I’m making it available to you too as a free printable! He has risen! I had started playing around with word art in Picasa after reading about how easy it is. Picasa, word art? How did I not know this? Me, who’s been using Picasa ever since it was released! I guess it’s a little like me and smart phones – I only use what I need and tune out everything else. And like smart phones and when I discovered Angry Birds, I’m loving this new (to me) feature in one of my favorite free tools! So, in the midst of eggs and bunnies and springtime grasses and flowers, let’s take a moment to remember the reason behind THIS season – that He died for us, and because of His resurrection, we will also be made alive! You can download the PDF of the printable at Scribd or here at Google Docs. [UPDATE!] – I am amazed and overwhelmed with the feedback I’ve gotten on this little project, so I finally “opened” my Etsy shop, and am listing this print in customizable colors and sizes! Thank you so much for brightening my day with your lovely comments! « Modular Origami: The Mathematical Anomalies of a 12-Sided Ball? Thank you so much for visiting me! I love your printable…it is so elegant! Have a lovely weekend! Angie xo -ps, where did you find those pretty Easter eggs? Fabulous!!! It’s going on my mantel! If I do a post I’ll be sure to let you know so you can see your awesome Picasa work out in the world! Love this. I am going to add it to my hutch that is slowly getting decorated for Easter. Thank you for linking up to A Pinterest Party. 🙂 Pinning! I love love love this! Just beautiful! Please say you shared it at Shine on Fridays! I am downloading this now! Please come share this at Fabulous Friday! I love this! The real reason for Easter. Beautiful.I love the style of doing these words. Found you through someday crafts. I love it when seasonal decor is not only cute, but also spiritual. Well Done! p.s. Thanks for the Picasa Tip… I too am a long time user and had no idea they offered word art!! Okay, so maybe I’m blind… but I can only find the edit button that links into the soon to be closing Picnik site. Is there another way to edit in Picasa other than Picnik? Thanks for the feedback. After downloading the newest version of Picasa (mine version was eons old) I am now able to access a plethora of editing functions. WOWZERS!!! I am no longer sad about Picnik closing – because it’s all basically been built into the new Picasa!!!!! I love this printable. I’ve been thinking about decorating for Spring, and this would be a wonderful addition. I love, love, love, love this! It is beautiful and it is perfect for Easter. He has Risen INDEED! Thank you for sharing this and for FREE! 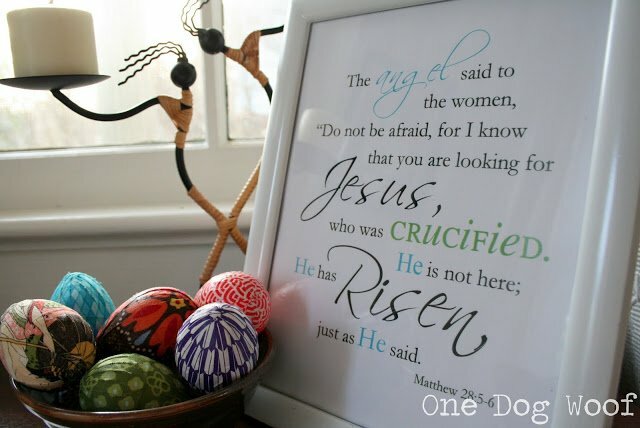 I have been looking for a great Easter Printable!! Thank you!! We would love to have you link up with us at our Naturally-Nifty Linky Party!!! This is just beautiful – thank you for sharing it! I featured you today in my Friday I’m In Love favorites! Beautiful print! I had to laugh when you compared using Picasa to discovering Angry Birds!! I’ll be sharing this at Simply Klassic Sunday this weekend! I love this printable. Thank you so much for sharing! Hi! I just wanted to pop in and let you know this printable is featured on this week’s Pinteresting Party! Thanks for linking up! I think it’s cool that you are doing this, I do have one issue though – could you fix the gap between the g and the e in angel? The “angel” is one word, so the gap is there by default with the font being used. Sorry! I printed this on normal printer paper and cut it to fit an 8×10 frame. I’m so glad you like it! I didn’t know that Picasa did this either! What a lovely – and meaningful – creation! thank you…just printed and displayed…i love it! Awesome!! Featuring it in tomorrow’s post! Thanks for sharing at Show & Share! Hey Congrats! 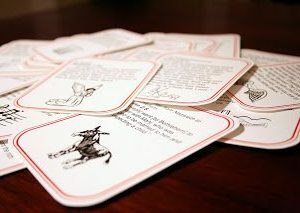 YOu are featured on our Naturally-Nifty Linky Party Features today! Stop by and check it out and pick up a FEATURED button! Thanks so much for sharing this! Also we are pinning this on our pinterest as part of being Featured! Thank you so much for creating and sharing this wonderful print. I love decorating for holidays, but get a bit sad when the cutsie covers the true meaning. 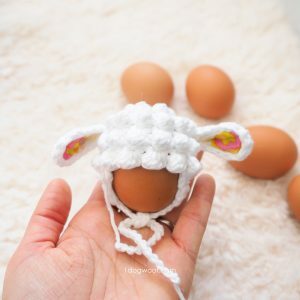 I can’t wait to add this to my Easter decor. Do you know if I can download this to a Mac? I know nothing about Macs, but the download is for a PDF file, so I am assuming that Macs can handle PDFS, since it is a cross platform file type. PDF files can easily be opened on a Mac. I do it all of the time. I found you through Angie’s blog Messy Cars and Muddy Shoes. Thanks so much for sharing, you are very generous : ) I will use this (with a link to your site) to wish everyone a Happy Easter on my blog. I love this, thanks so much for it!!!! Thank you so much for sharing….Yesterday was Easter, however I am going to put this in my file for next year….Will make a nice gift! Is this still available as a free printable? When I try to “download & print” from Scribd it says I have to be a premium reader…. Can it be emailed? I love it but am not a subscriber to Scribd and I would have to pay for a subscription. I’m also wondering if you still have this available for free somewhere – I’d have to pay $9 to subscribe in order to print it. 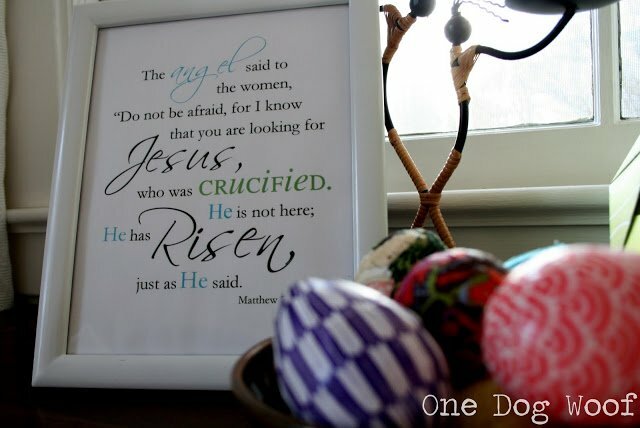 I pinned this after Easter last year and would have printed it then if I knew it wouldn’t be free anymore – it is beautiful! Same here, I don’t want to pay for Scribd. 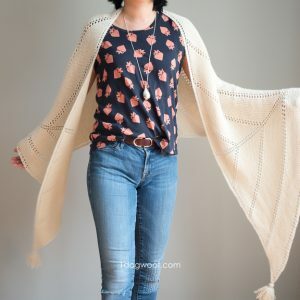 Do I have to buy from your etsy store now? Thanks. I LOVE this… However, could you please fix one thing for me? You have a starting quotation mark and not a closing one. It’s that way on your etsy shop, too. It’s just a little detail, but I figured you’d want to know. Thanks for sharing this!!! Thanks Christy! I’ll get to fixing that. 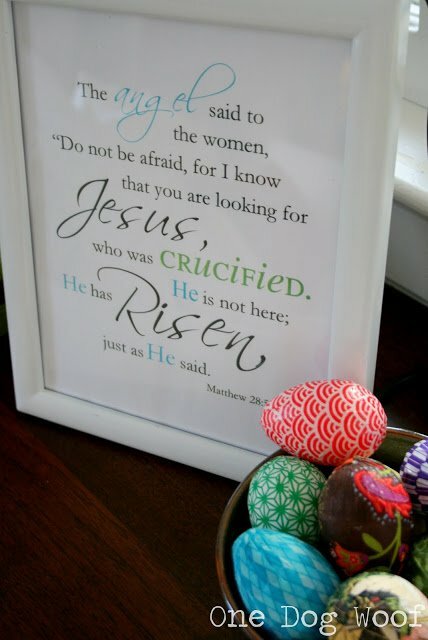 I just wanted to say, of all the Easter printables that I have seen out there…this is by far the most beautiful! Thank you so much for taking the time to create and share this! Aww, thank you so much Sasha! I’m glad you enjoy them! I found this page through Create and Celebrate. Your page says free but when I click on any of your buttons to download I get to a page that asks for at least 3.99 a month. Am I doing something wrong? I’ve updated the links to link to a free Google doc. Hope that helps! I wish bloggers and web page sites would stop using scribid! It is very misleading advertising that the downloads that use Scribid are free~~ THEY ARE NOT!!! You MUST subscribe to Scribid (at a cost even for a trial) which you have a very hard time getting back if you don’t want to continue the site). Thank you for your feedback Earlene. Scribd was free when I started using it, but I understand the concerns, so I also have the printable available on Google Drive. The link is a few paragraphs in, but I’ve also updated the first link, so hopefully, you can get to it. Thank you so much for creating and sharing your print. This is beautiful. Thank You. I was just looking for something like that. Have a blessed Easter ahead. Greetings from Poland. I REALLY want to use this for Easter this year but I would like to be able to print it as a 14×18 or 11×14. Could you please email it to me in a larger size so I can print it without it being blurry? THANK YOU! !